Closest Major Intersection: Pond Mills and Commissioners Rd. Lot Size: 30 by 101 by 102 by 35 approx. 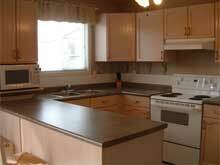 Inclusions: light fixtures, ceiling fans, most window coverings, dishwasher, shed. Taxes: $ 2309 (05) approx. 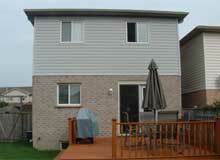 This neighbourhood is composed of a diverse group from professional couples, through young families to retirees. And talk about convenience it's a short walk to the grocery store, walk in clinic, library, bank, vet, video rental, and much more at Pond Mills and Commissioners. There is a new Rona and plaza being built a short distance away too that should open its doors soon. It's also an easy commute to the 401...it is 2 minutes away! The park and playground are just around the corner. 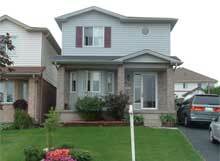 This neighbourhood is also surrounded by mature trees giving it a much nicer feeling than most newer home subdivisions. If you can't find it close by ...it just has not been invented yet!!! This newer home is better than new in that the owners have also included a dishwasher, window coverings, shed, sundeck and updated landscaping to name just a few things. All things you do not get when you build new. The curb appeal has been greatly enhanced by the new garden wall in the front and side of the home. And after 9 years the landscaping has matured to make it very attractive. 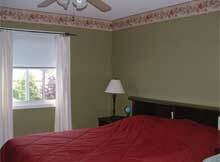 There is lots of parking in the private drive and street parking is available in the daytime. 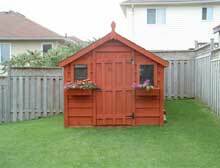 The back yard is totally privacy fenced and there is an adorable shed with flower boxes for all your gardening needs. Summer fun is made easy with the large sundeck off the kitchen. Enjoy a late nite drink after a long day or a family bbq with friends. The neighbours are terrific and the area is very quiet. You won't need a play gym or swings out back as the playground and park as a few steps away but far enough so as not to be noisy. When you step inside you will see the pride of ownership. The home gleams! It is move in ready. The decor is modern and trendy and will fit in with most buyers furnishings. There is a ceramic foyer and hardwood in the living and dining rooms. 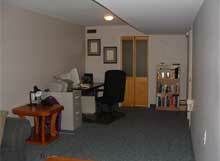 The home is fairly open concept with lots of light. The principal rooms are all entertainment sized and the eating area will accommodate everyone for Christmas dinner this year. The kitchen and eating area are at the back of the house for easy exit thru glass doors to the yard to watch the kids or hold a bbq. 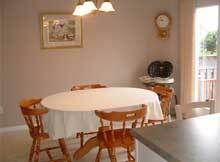 You will love the space for meal preparation and all the cupboard and counter space. As well there is a microwave shelf and ceramic backsplash. There is a spacious handy powder room on this floor too. 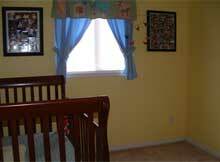 Upstairs are 3 nice sized bedrooms and an updated 4 piece bath with a new tub enclosure with deep soaker style tub. 2 of the bedrooms have walk in closets! 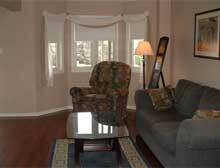 The lower level is finished with a cozy family room for movie nights or snuggle up with a good book on the weekend. 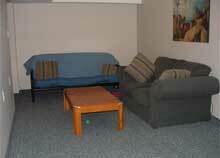 Your laundry facilities and mechanical room is here also and ample storage available. If you need a move in condition home with little upkeep and maintenance issues as you just do not have the time, and you need close proximity to amenities and being handy to the 401 is a bonus then hurry and call as homes of this caliber do not last long in this market.